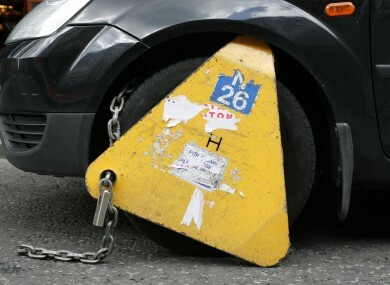 Whilst there are a number of car parking options available throughout the town of Naas I strongly feel the presence of clamping operators in some of the car parks is a significant hurdle to the town centre development. I have tabled a motion for this month’s council meeting to engage with the private car parking operators to transition to a “pay on exit” barrier system instead of the clamping some operators currently use. I have heard too many horror stories from one car park in particular, and this needs to be tackled. I have also requested the council perform a wider study of parking needs and capacity in Naas town and am assured that is now in progress. Working with local traders I have proposed various amendments to the current pay parking system which I hope can be adopted following the study. Finally I have also asked whether the council could provide covers or “hoods” for the parking meters at times of free parking to avoid any confusion like happened last Christmas where some people paid anyway with the machines accepting money, despite free parking being in operation at the time. 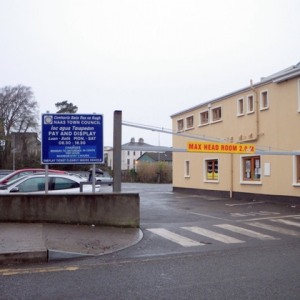 Following from the spate of business closures in Naas town over the past few months, I have lent my support to a call by Naas Traders for free parking times in Naas town. 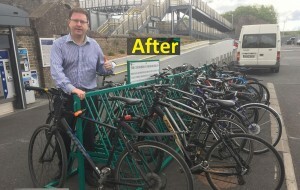 The purpose of this initiative is to encourage customers back in to the town centre. 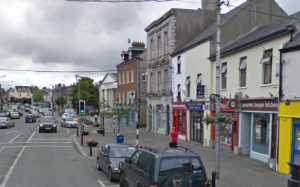 It is obvious that something has to be done, and urgently, to bring business back into the town and I fully support the Naas traders in their efforts to lobby for change. Having being speaking to many of the retailers there is an urgency about the situation which I hope is shared by the Town Council when they meet to discuss this petition. I’m not a member of the Town Council myself but I will be seeking election to the new Municipal Council which will replace it next year and I think this is such an important issue. If you were parking at Sallins train station over the past fortnight you may have been in for a nasty new year’s surprise if you came back to find your car clamped on your first day back. It turns out NCPS car parks who operate the Naas side station car park, increased the fees from one to two euro daily over the break but forgot to let people know about it. Not only did they not give adequate notice of the price increase, they then began to clamp people who hadn’t observed it! It seems a few labels were placed on the parking meters but people who had being used to paying the previous fare for the past two years and who are typically parking in early morning and running to catch their train, not surprisingly, had not stopped to notice the changes in small print on the machine they had been using daily for the past two years. Modern society sees concentration of population around our capital cities and similar conglomerations around our other urban centres. To meets the demands of housing accommodation within concentrated areas many developments have embarked upon a high density model with X units to an acre for example to maximise use of space and deliver affordable housing within confines of space and location. Delegates however I now call for a review of planning guidelines and a concerted effort to ensure quality of housing is not allowed to suffer under pressures of rapid development. Many issues emerge from our recent residential developments. In some cases parking facilities are found to be inadequate. Complaints, Lorries, truck bays. Sound-proofing is another significant issue that is frequently raised. Too often shortcuts in construction lead to technical faults in barrier walls which lead to unacceptable levels of noise pollution in many modern homes. I believe revised planning protocols are now necessary to address these issues.